The client liked design 1 and design 4 above and asked us to combine “the best of both” into a single design. The client liked the stripes of design one but preferred the logo placement of design four. 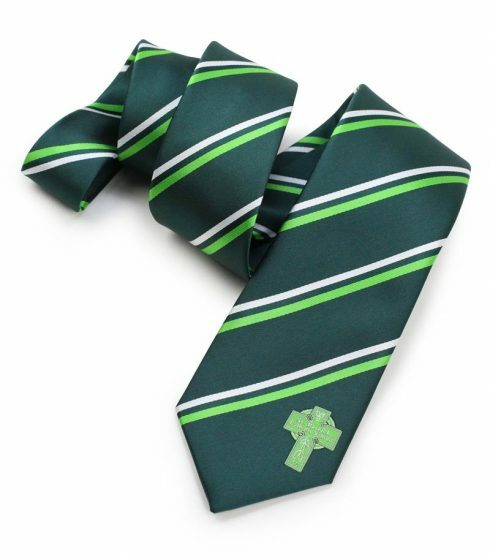 After finalizing this design and submitting for production, the final ties arrived just 4 weeks later. 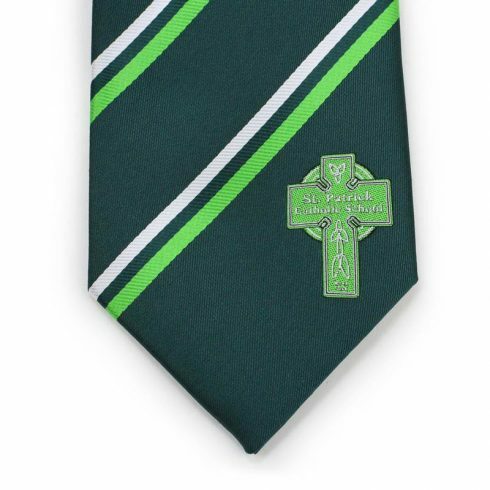 Below is another detailed photo of the final tie showing the embroidered detail of the logo. 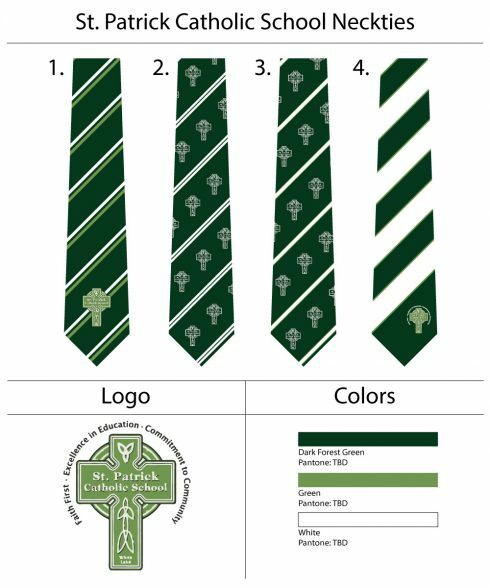 Looking to create custom ties for your school, club, event, or organization? Then let us help you with free design work. Just contact us and tell us what you are looking for and we will work on free design mock ups within just one business day.